Product #16579 | SKU AG2R026 | 0.0 (no ratings yet) Thanks for your rating! 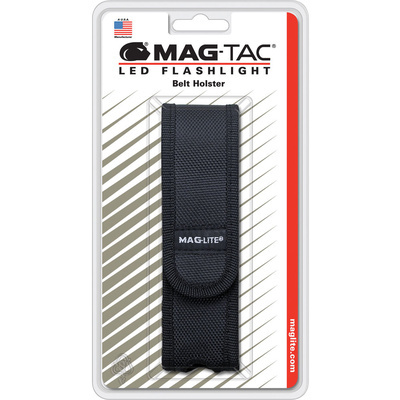 The Mag-Tac Holster from Maglite is a tear and wear-resistant ballistic nylon holster for any Mag-Tac series flashlight. It fits belts up to 2.25" wide and features a touch-fastener closure flap for secure carrying and quick removal. A snap-opening belt loop allows it to be put-on and taken-off without having to remove your belt.